China has initiated the concept of “new economy” to foster new growth drivers for overall economic transformation, Premier Li Keqiang said on March 16. The new economy is not just about the emerging forms of businesses and industries, such as e-commerce, cloud computing and the Internet of Things. 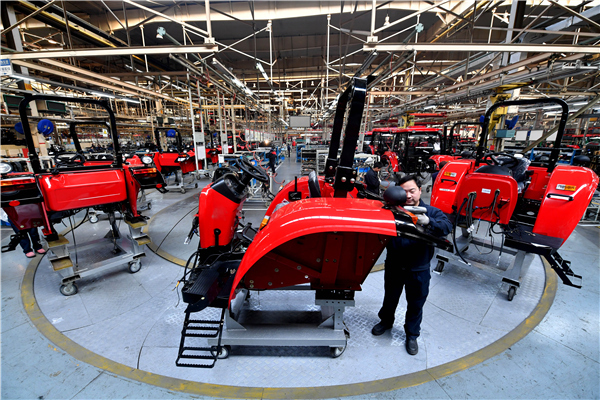 It is also found in smart manufacturing, large-scale customized production, family farms, and share-holding cooperatives in agriculture, said Premier Li at a press conference after the close of the annual legislative session. It is natural that traditional growth drivers wane after a period of development. “Hence we need a boom of new growth drivers to accommodate the need of industrial revolution,” he added. The new growth drivers will generate new jobs, which will help with the greater efforts to cut overcapacity, he said. The campaign of mass entrepreneurship and innovation provides a platform for large, medium and small businesses and research institutions to have a broad space for crowd innovation, crowdfunding and crowdsourcing, said the Premier. The mobilization of the enthusiasm and creativity of all people will generate a powerful momentum to tackle the downward economic pressure and achieve faster economic transformation, he said.